A total of 17 people have so far been killed as a blaze broke out in a Delhi budget hotel popular with tourists. 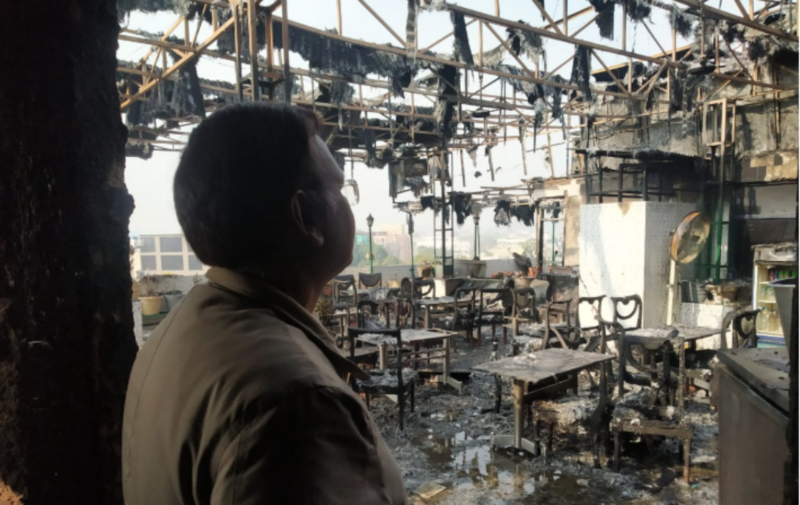 A further 40 have been reported injured in the fire that began early on Tuesday morning in the Hotel Arpit Palace, situated in the bustling central Delhi district of Karol Bagh, a mixed residential and commercial area known for shopping. According to eyewitnesses, the deceased included a mother and child who attempted to jump from a window to safety. In gory videos recorded by passers-by, people are seen jumping from the ablaze hotel in an attempt to save their lives. Firefighters told local media that the budget hotel, like several others in the city and region, had little to no fire safety equipment, complicating the search and rescue effort. Delhi police is investigating whether negligence by hotel management led to the fire. The local government, meanwhile, has also launched a magisterial probe in the incident. Local media reported that most of the deaths were caused by suffocation by fumes emanating from the hotel fire. Following the incident, Indian Prime Minister Narendra Modi tweeted his condolences to the victims. Local government leaders have announced a compensation of 500,000 INR (roughly $7,000) to the next-of-kin of the deceased. Follow latest updates on the incident here.